Lyme disease expert Katina Makris will be bringing Lyme Disease awareness to Portland, OR this week when she speaks and signs her new book at two events sponsored by the Oregon Lyme Disease Network. PORTLAND, Ore. - Sept. 23, 2015 - PRLog -- After 5 years of misdiagnosis and 5 more years of treatments, Katina Makris triumphantly overcame advanced chronic Lyme disease, as chronicled in her first book, Out of the Woods. 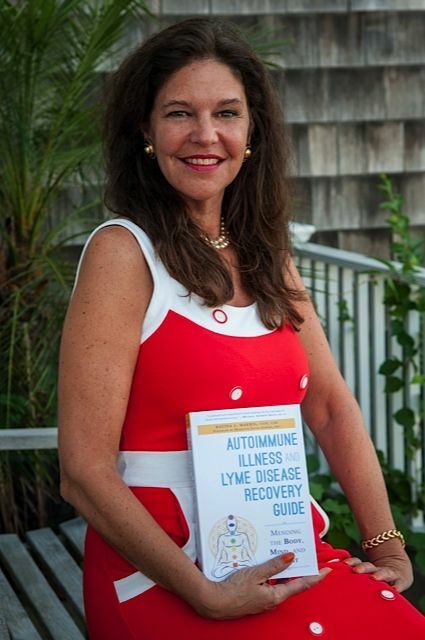 Katina has now written a second book, Autoimmune Illness and Lyme Disease Recovery Guide: Mending the Body, Mind and Spirit and will be making two appearances this week in Portland, OR to speak about recovery. Both events are open to the public. For more information, or to purchase tickets to these events, go to: http://www.oregonlyme.com/events.html. Katina Makris is a graduate of Duke University and The Stillpoint School of Integrative Life Healing. She has worked in natural health care for 28 years, as a Classical Homeopath and Certified Intuitive Healer. For more information on Katina, go to: http://www.KatinaMakris.com.